Hi! 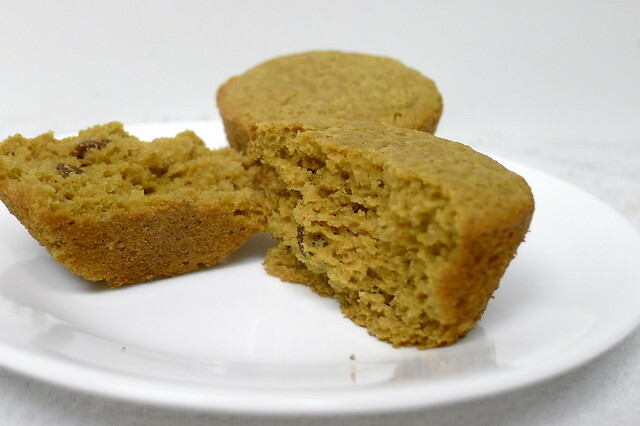 I bought rice bran like a million years ago and have been meaning to make bran muffins for months and months and months. Apparently it was muffin day today, my sister and one of my friends both posted about making muffins on Instagram. Alex was mostly in charge of dinner (shrimp and olives, like this but without feta and cooked on the stovetop) so I whipped these up. Quick and easy and wicked delicious. I packed a few for breakfast tomorrow and froze the rest. They're not too sweet, they're moist, and I love them. Next time I might add in a tablespoon or two of molasses just for flavor. Preheat oven to 350, and grease a muffin tin. Combine rice bran, rice flour mix, xanthan gu, baking soda and salt in a bowl and mix well. Set aside. Beat buttermilk, sugar, applesauce, egg, oil and vanilla together until frothy (I used my Vitamix, but you can use your hands or a mixer). Pour the liquids into the dry ingredients and stir together, then fold in raisins. Pour batter to fill muffin tins about 2/3 full, then bake for 20-25 minutes, or until a toothpick comes out clean (mine baked 23 minutes). Cool in pan for a minute or two, then remove to a cooling rack. Serve with butter or eat plain. 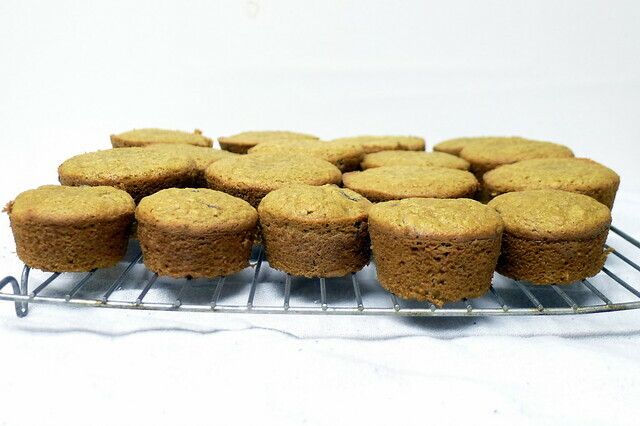 I used a regular 12-muffin tin and had leftover batter, so I used a mini-muffin pan and made about 6 mini muffins. I'm not totally sure how many I made because I immediately ate a few of them so I lost count. Then Alex (who "doesn't like" muffins) ate a few too. Sorry for the not-so stellar photos, I was in a rush. YESSSS! Like you, I bought some rice bran a while back too. Now I don't have to come up with a recipe! Thanks for sharing. Though, I've been majorly craving raisin bran cereal; we'll see if I can figure out how to bake some rice bran flakes. I'm excited to make these.